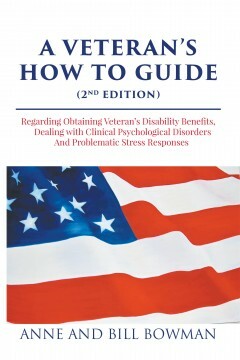 This book offers a detailed description of the veteran’s journey from the initial visit to the Veteran’s administration facility where the vet meets the veteran’s service officer (VSO) to finally receiving his/her first benefit check. The primary goal of this book is to make the journey “user friendly” and rewarding for both the veteran and his/her family. Every person who applies will need a support team, a knowledgeable VSO and faith in God. Those three things will provide the tools necessary to get through the DVA disability process in a time efficient and less frustrating manner. Chaplain Bill Bowman holds a Ph.D. in Philosophy, a master in theocentric business and ethics, and a master of divinity. He served in the U.S. Marines, fought in Vietnam,1967–68 (“Tet Offensive”) was granted 100% disability rating. Bill is an ordained Christian Minister and chaplain, and is also a member of numerous national associations. Chaplain Anne Bowman holds a master’s degree from UCLA and a lifetime teaching credential. She taught high school with LAUSD for thirty-two years. She’s a Christian Chaplain and a Biblical Counselor, and a member of the American Association of Christian Counselors and the American Psychotherapy Association. She is also an accomplished oil painter as can be seen at www.brushstrokesbyanne.com. This book is a collection of the first five books I’ve written. 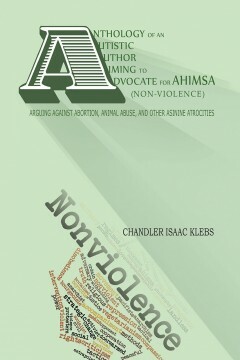 While all the books were written at different times and for different reasons, they all follow the general theme of advocating for non-violence. While some may find my books entertaining, the main reason you might want to read my books is because they will make you think and question what you have been taught by society in general. A lot of harm is done by people just agreeing with popular opinion rather than thinking about whether or not what they are being told is true. I am an animal lucky enough to have fingers and a computer to type my thoughts of what I think of the world. My hope is that others will enjoy what I have written and learn things that will lead to positive change in the world. I would like to see a world of peace where no one gets hurt. Because of this, my books have a strong anti-violence theme and it’s well known that I think the world needs to go vegan and also find ways to prevent abortion, war, and other forms of murder. BEFORE THE WHISTLE is a compilation of eighty-five devotionals Coach has delivered to his teams over a 39-year coaching career. Some are in outline form allowing you space to add and enhance the thought process. Some are in essay form simply to be read. All supply motivation and inspiration for everyday life. These devotionals can be used for teams, athletic or corporate. They also provide a guide for daily personal quiet time. 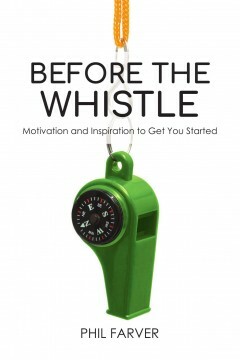 Before the Whistle is a thought provoking, personal challenge for life change. His experience in coaching and building programs and teams led him to author and publish a book in 2009 called, “FIVE SMOOTH STONES”, a book outlining steps for success that he implemented with his team. Now he has developed another book filled with devotionals and motivational speeches to help other coaches as they prepare to build their teams and impact the lives of their players. The unique thing about this collection is that they can be used by anyone at any time. They are not just for use with athletic teams. They could be used in the corporate setting as well as in a daily personal journey of life. His personal faith has been the foundation upon which he has stood for his entire career. The ups and downs of losing and winning have given him an insight to being successful that he would like to share with others. Through it all, he has remained faithful to the principles that he believes in. 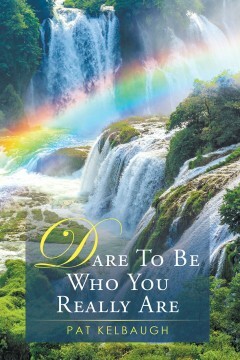 This sensitive, honest and heartfelt devotional doesn’t pull any punches. 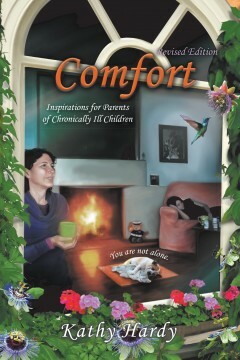 It encounters all aspects of raising a chronically ill child and helps others understand the day-to-day struggles and joys. It is eight weeks of reality: the good, the bad and the ugly. At the end of each weeks devotions, you’ll fi nd a short chapter of Kathy’s family’s continuing story of raising their eight children, three of whom have cystic fi brosis (CF). This book will touch you. It will make you laugh, cry and feel less alone. You will feel understood and know that your journey is shared by other who experience similar emotions. You can give this book to family members and friends whom you feel lack understanding of your family’s dynamics. You will feel comforted to know that God and others walk this diffi cult path along with you. Kathy Hardy and her husband, Tom, raised their family in Hayward and Modesto, both in California. They moved to Fortuna, CA in the fall of 2016. Kathy has acted on stage for ten years and in Hollywood for three years. In our fast-paced lifestyle of our modern world we spend much of our time gathering information. The internet and cell phone world we live in has changed our lives forever. The question arises as to what we should do with all this information? How do we make it useful to our everyday lives? 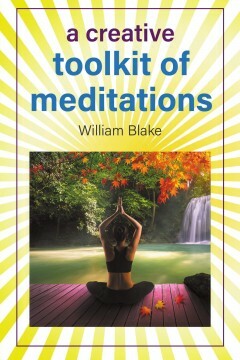 This book gives some much-needed guidelines to do that. This book is made for all but especially focused on students. 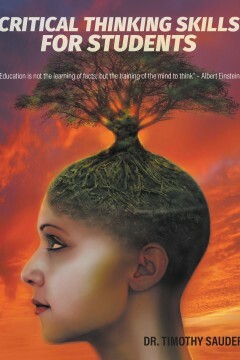 Be a learner and not just a gatherer of facts. Make your research practical. See all aspects of a subject. TIMOTHY SAUDER has a wide experience in many fields of study and work. He owned his own kitchen design business for 23 years in Canada and does consulting business around the world. As to historical studies he has a BA in Biblical literature and other postgraduate degrees in Education and counselling. He is a world traveler spending time each year in Asia, mainly Cambodia, doing research and writing. He is author of several books including “Your path to learning English idioms,” On Amazon. Having taught English second language in Korea and Panama he saw the need of this book. Many years ago, as I was describing the latest saga in my bizarre life to a dear friend, she suggested I write a book about my life. Eventually, over a period of several years, I started writing down these short stories and finally put them together into a book. It was then that I realized that many of my life experiences had a profound impact on who I was and how I thought. I started out as a quiet, shy person who was unsure of herself and her abilities. Even though I had grown up a” ending church every Sunday, trying to follow the teachings of the Bible, I knew something was missing in my life. Eventually I married a United Methodist minister and we raised two children together. The challenges we faced during our years in the ministry allowed me to grow in strength and confidence. I was continually learning new life lessons as God put me in positions where I could be of help while caring for the needs and problems of others. As God led me to take on leadership roles, I found I could depend on His guidance and continual support. I was energized as He guided me to use my creative and artistic talents. Then one day the doctor told me I had a tumor and needed major surgery, all at the same time my husband was being put on trial by the church for behavior unbecoming of a minister. When you are down and out is when you find out about your faith and God’s power to turn things around. Never before had I envisioned the challenges I was yet to face. I knew that God was not finished with me and that I had much more to accomplish. Praise God! We often allow the external world to define us and tell us who we are, but in truth this is not us. At our core we are something much more than the masks we put on with family, friends, and at work. There is a light within us emanating from our heart, and when we remember it we begin living our truth. Through a traumatic injury Trey began looking at himself only to realize he had no idea who he was. 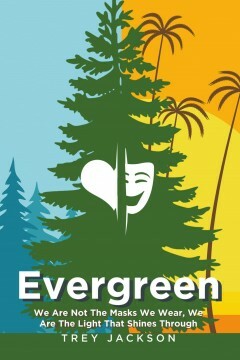 Evergreen brings to life Trey’s vision of waking up to our true nature within. We are already enough. TREY JACKSON is the founder of Free-Minds blog & podcast. He is also the author of this book, part one of a three book series. Trey graduated from the University of Tennessee with a BA in History & Supply Chain Management. He grew up in Nashville, TN, with a short stint in Knoxville, TN. He now resides in Atlanta, GA. He also spent a short time working as a stand-up comedian between college and his first corporate job. 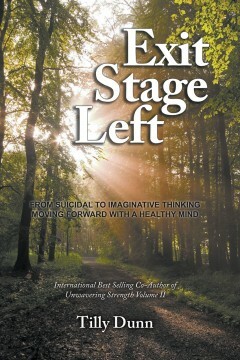 He now serves as a medium, and authors books to promote growth in himself and others on their journeys of self-discovery. The author takes you from the marvelous memories of her early childhood to the realities that she faced during the years that followed. From the ages of eleven to sixty-two, for fifty-one years, she fought waves of suicidal thinking to come out on top. While six months pregnant with her first child, she was hospitalized for a pain that kept her awake for seven consecutive days and nights. A diagnosis of bipolar disorder (mania) followed. Finally, after forty-two years, she triumphantly overcame her psychosis. She tells you her inside story and the tools she discovered to conquer all her challenges. Her life of joy and purpose is what she wants to share with you today. Fight or Flight is a two part book. 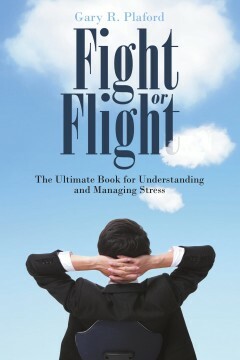 Part one explains how stress is an integral part of our lives. It can be motivational or debilitating. Therefore it is not avoiding stress, but rather managing stress that is critical. The book discusses the four conditions that cause stress, mindset, habitual thought patterns, and how the brain functions during stress. Part two is aimed at helping us manage stress. Stress can affect us physically, mentally, emotionally, and spiritually. Hence, rather than relying on general stress reduction techniques, it is better to employ specific physical, mental, emotional, and spiritual techniques for managing stress. Gary R. Plaford, M.S.W., L.C.S.W., served as director of Social Services for the Monroe County Community School Corporation for over twenty years, taught at Indiana University for over a decade, has lectured at multiple conferences, and is the author of three previous books Bullying and the Brain, Sleep and Learning, and the suspense novel, Ultimate Exposure.